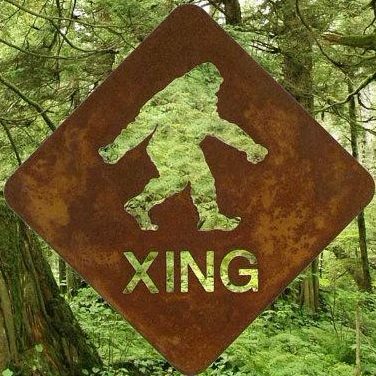 Last September 2018 I participated the 3rd annual Psychic Sasquatch Spiritual Retreat and Conference in Chewelah, Washington (US). The water ceremony led by Garrett Duncan created this opportunity of ‘Honoring the water beings and Blessing the waters on Earth. After I got back to Europe with my own water sample from this great Sasquatch-event I was able to put forth the intention of healing the waters globally. Tuesday 25th of September we ( Christa and me) walked in a little forest in Flobecq with our dogs. We decide to create a sacred space for doing the water healing. There is a little pond in this forest of (mostly) beech. Knowing this water resides and runs through an area of heavy pollution, we create the opportunity to pour the blessed water from the Sasquatch Retreat. Sitting down by the little pool, formed by little meanders of waterways ( well water) this water has a ‘dirty’ foggy shine on its surface. We ground ourselves and present healing for the waters. There is no real ‘life’ seen in the vicinity, not an animal nor frog or insect. With intention of heal and meet we pour the blessed water in the pond and take some pictures. At this moment the magic begins. It’s like a sparkling vivid fairy tale. Suddenly out of nowhere 4 dragonflies hover over the water in our direction. Two sit down in front of me on the water and begin their co-creating act. An amazing view and feeling fills our being. The whole time there is that strange, intense but soft shine of rays of Sun. The clapping and shimmering of the wings of dragonfly make it all more enchanting, even a little surreal. Clouds, trees and plants are mirrored in the water and sunlight is gentle but intense whispering through the forest. Attracted by the colors and extended depth of this mirror the vibration becomes stronger as like a veil thinning, parts of water becoming more clear. What a beautiful bodily experience of goosebumps rippling throughout the whole body and more. Looking at pictures, camera captured energy clouds not visible with naked eye. We feel so close to nature, united with all the natural beauty around us… ONE… and INFINITE. Feeling gratitude and blessed being part of this magical blissful co-creation. Sharing this experience with many and Christina Schwind- Multi-dimensional Accelerator- she acknowledges the partaking of Dragonfly. Dragonflies are messengers and guardians of new fields of existence were we unknowingly/knowingly making contact with. Dragonfly realms usually in a theme of those thresholds where the unknown is emerging from subconscious and coming into the light of awareness. Like-Beingness emerging up from the abyss of the Telluric realms. Frank, what a beautiful thing to happen with the waters and your gifting of service. How beautiful the dragonflies are in honoring us!